We'd Wear A Sweater To The Beach But NOT What Swara's Wearing - Here's Why! 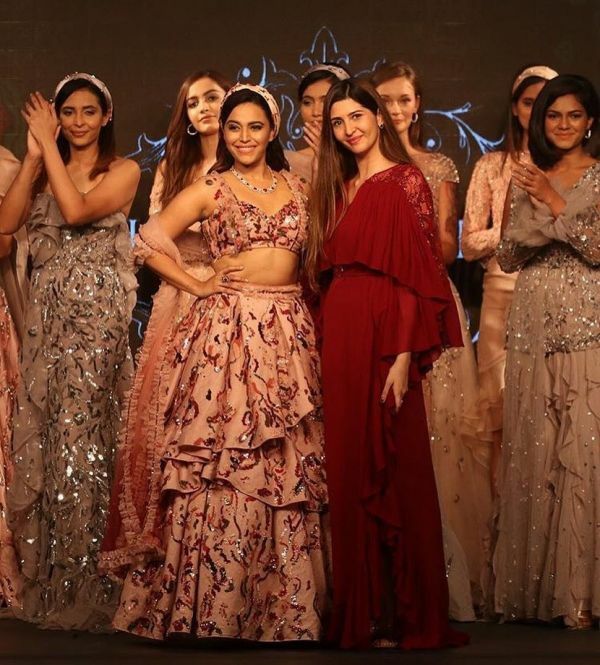 We think that Swara Bhasker looks better and more at ease in western wear than she does in Indian and fusion wear - her latest look from India Beach Fashion Week 2018 brought us to this conclusion. Swara Bhaskar looked amazing in her dresses and jumpsuits, during the promotions of Veere Di Wedding, thanks to Rhea Kapoor. Maybe she understands Swara's style better than anyone else? 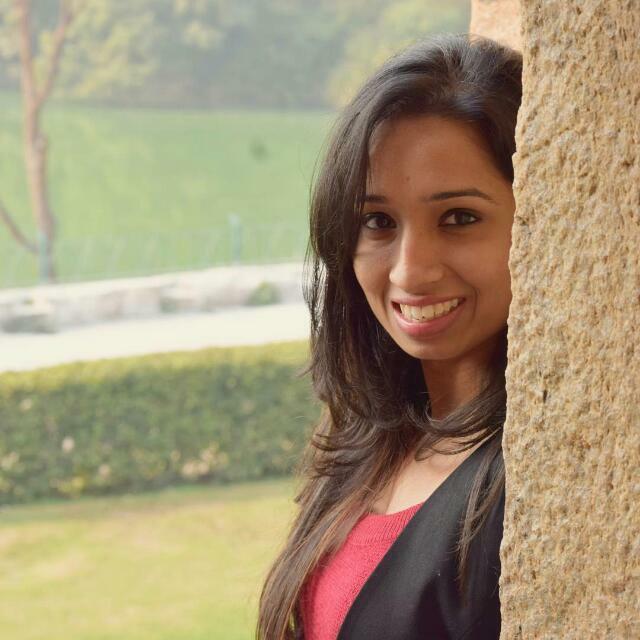 Chandni Whabi, Swara's personal stylist, almost always gets it right too. Her latest outfit, however, is not something we'd want to wear to a beach wedding. Swara posted this picture from the IBFW last night and we'll just say, it sure was an eye-opener. 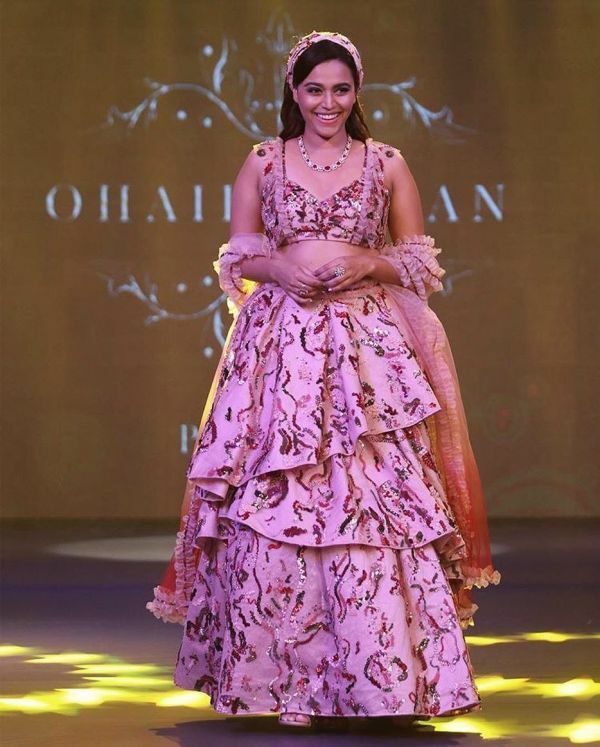 This pastel pink lehenga was the one Swara Bhasker, that is, the showstopper for Ohaila Khan wore. The pastel pink lehenga - with abstract sequinned embroidery all over, asymmetric ruffle detail, a tiered lehenga skirt and a matching head scarf - had everything. And that, precisely, was the problem. There was too much happening on this ensemble, making it look unbalanced and OTT (the not-so-good kind). Swara's outfit could have been salvaged, had it not been for her necklace. One, it looked out of place - a bad fit. Two, it was unnecessary, thanks to the already busy outfit. On the brighter side, Swara's makeup was kept light and soft, kudos to Bhaskar Chaurasia, her MUA. 1. Too. Much. Frill. The frills running vertically across the blouse could have been given a skip... The lehenga skirt already has frill details around the waist. So, the blouse would look much better with no frills at all. Either that or skip the ruffle detail on the skirt to focus on the frills, instead. 2. The necklace could have been replaced with silver-toned earrings (preferably statement studs) to let the sweetheart neck-blouse work its magic. Maybe then the sequin embroidery would get the spotlight it deserves! 3. The bandana and dupatta are too much, together. We think Ohaila could have one, styled her without the dupatta and earrings. With a messy bun, the bandana would've done a flattering job on Swara; two, she could have gone for beachy waves minus the bandana and left the dupatta as it was. So, yes, plus and minus a few details, the look can work for anyone! If you're thinking of rocking it, here's a tip for you: accessorise the outfit with a pair of silver or muted pink juttis and a matching potli bag to complete the beach look the right way. Also for the love of fashion and YOU, yourself, avoid wearing clothes that you feel trapped in. If it's not comfortable, it's not worth it.